There are a lot of different factors that go into successfully running and growing a small to mid-sized business. One that’s sometimes overlooked is shrewd management of working capital in order to ensure ample liquidity and a strong cash position. This will give companies the ability to be flexible in the pursuit of future growth opportunities — which, in turn, will help determine how far a company will eventually go. But effectively managing working capital for liquidity requires financial discipline on the part of management. Many companies that have survived and thrived during the economic doldrums of the past few years have done so by remaining disciplined: conserving cash, controlling costs and spending judiciously on technology and innovations. These are the businesses that now find themselves at a competitive advantage when it comes to having the flexibility to pursue future growth opportunities. § Having a limited ability to invest in growth opportunities. § Being in a less competitive position in the marketplace. § Having limited access to credit. § Enjoying less bargaining power with customers, suppliers and vendors. The solution is to adopt an attitude and create a financial culture where “Cash is King!” This might sound like a cliché, but it’s true. Having a healthy cash position is the key not only to surviving when times are tough, but thriving when new business opportunities arise. To do so, you need to create internal cash management policies and procedures that will reduce invoicing errors and report any account delinquencies to management. Creating this financial culture requires using key performance indicators (KPIs) that report accurate and timely metrics of working capital. These metrics include days sales outstanding (DSOs), days payable outstanding (DPO) and days sales in inventory (DSI). These metrics show the effectiveness of internal financial processes such as invoicing, receivables collections, payment processing and inventory management. These metrics and other data can be used to produce a 13-week rolling cash flow forecast that will enable you to review current and future cash positions and proactively address cash flow slowdowns. Building strong relationships and creating a supportive environment with customers and suppliers is another component to creating a financial culture geared around managing working capital for liquidity. You should strive to be consistent with your customers and vendors by always doing what you say you’re going to do, when you say you’re going to do it. Focus especially on building strong relationships with your customers’ and suppliers’ finance departments. As you do, encourage electronic integration and communication with customers and suppliers via the use of Automated Clearing House (ACH) electronic payments, e-procurement cards and corporate credit cards. These are both convenient and cost-effective for all parties involved in the payment process. Yet another way to improve working capital management is to take advantage of technology that enables you to deposit checks remotely from your office using a scanner supplied by your bank or a smartphone app, instead of physically presenting checks for deposit at the bank. This practice can significantly speed up the posting of receivables and provide a cash flow and working capital boost. § More efficient use of available funds to support growth initiatives. § Receiving better access to credit and better terms from lenders. § Streamlined financial and operating processes. § Stronger cash flow and increased profitability. One business success factor that’s sometimes overlooked is shrewd management of working capital to ensure ample liquidity. But effectively managing working capital for liquidity requires financial discipline on the part of management. Companies that have survived and thrived in recent years have done so by remaining disciplined financially — and these are the businesses that find themselves at a competitive advantage. 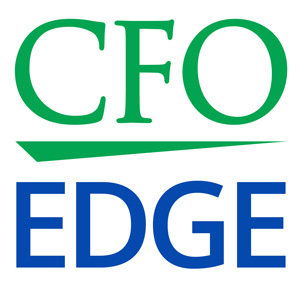 An outsourced CFO services provider can help you exercise the discipline required to effectively manage working capital for liquidity.